Appointment setting is a very important step in growing your Network Marketing business. After all, setting appointments is the only real way that you are able to show your business opportunity whether it is online of offline. But what happens if you set an appointment and your prospect doesn't show up (no show)? Early on in my Network Marketing career, I used to chase people around. They would cancel or no show, and I would call and give them another chance. They would no show again, and I would repeat the process. What a crazy nightmare and a total waste of time! So what do you do if you get no showed? In the video below, I give you some appointment setting tips, especially if your prospect no shows you. Your mentor or upline may have already provided you with appointment setting scripts, but have they taught you what to say or do when you get no showed? Watch the video below and learn how to use your time properly in appointment setting with these appointment setting tips; when to reschedule and when to move on. When it comes to appointment setting and whether or not to reschedule, it is a matter of preference. With some prospects, depending on what the reason is, you may want to give them another chance, or not. Keep in mind, however, that YOUR time is precious and should not be wasted with someone who is just curious and not serious! If you found value in this, feel free to comment below and share! 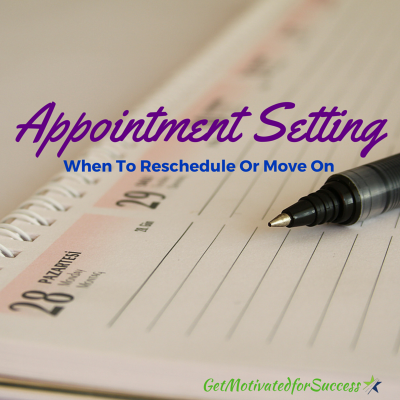 If you enjoyed this post on Appointment Setting-When To Reschedule Or Move On, Retweet and comment please. 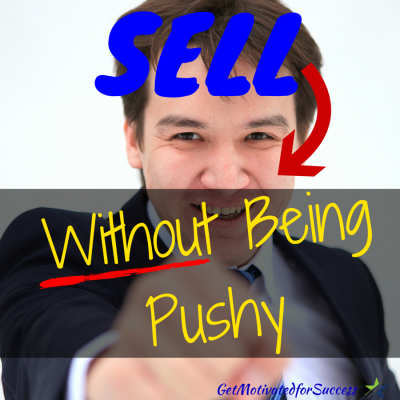 Sell Without Being Pushy- Do you feel like you are being pushy sometimes when you are selling your product or trying to register a new business owner? There are several factors that you come into play when you are trying to sell or get a prospect into your business. One of the most important things that you can do with a new prospect is to build rapport. When you build rapport with a prospect, you can begin to have them know, like, and trust you. This is critical when it comes to them wanting to join your business or buy your product! In the video below, I explain to you how you can sell or sponsor prospects into you business without coming across as a pushy salesperson! When you build a rapport with your prospects, great things can happen for you and your business. Implement these suggestions that I provided and you will get better results in your business! Did you find value in this? If you did, please comment and share. 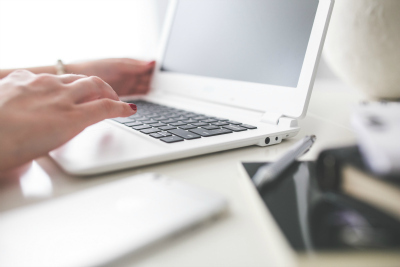 Are you trying to generate leads online but you don't have a blog or capture page? No need to worry! 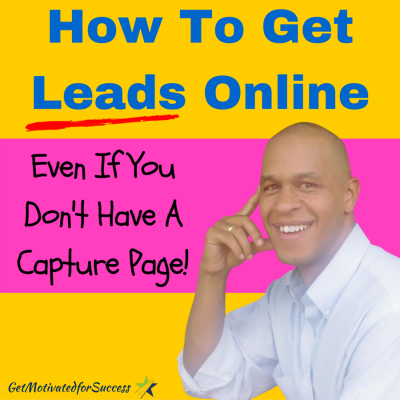 There are ways that you can still get leads online! There is no doubt that generating leads online is much easier when you do have a blog or capture page available for people to put in their information to get your valuable training, etc. (you will be able to get both below). However, it is still possible to get leads online with a little bit of creativity and a strong Call To Action! When I first started to market my business online, I had no clue how to get leads online, let alone just one! I knew that the internet is the way to go and that there was the potential to reach hundreds of thousands of prospects with the click of a button. The problem was, I didn't know where to start! In the video below, I am going to give you a simple, easy to do method to start to get leads online everyday for FREE! Did that help? Do you think that with a strong Call To Action, you can start to get leads online for your business even if you don't have a blog or a capture page? You can!! If you found value in this, please share and comment below! P.S.- You can now create a blog and get ready-made capture pages for your online marketing system here! Just fill in your information below and you will be led to a short video explaining exactly how this system can work for you! Do you wonder why people QUIT Home business opportunities? Have you ever had that happen to you before? Someone gets started in your business and 6 months later they are gone into the black hole never to be seen again! It can be very frustrating because you work so hard to get them to the point that they join your business opportunity. Think about it, you have to meet or connect with a prospect, present your opportunity, follow up with them, and then get them started. This is, of course, if everything goes smoothly! On top of all of that, you then need to train your new business partner and that can take many hours of your time, money, and other resources. Wouldn't you rather have someone join your team and actually build it? 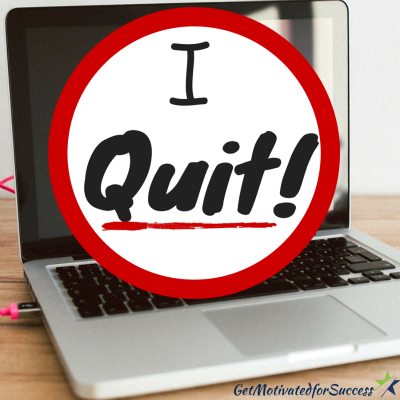 The reason that people quit Home Business opportunities is not typically because they “lose their dream,” although sometimes that is the case. They typically quit Home Business opportunities because of 4 main reasons. Watch the video below and I will share with you the 4 reasons Why People Quit Home Business Opportunities. If you avoid these 4 mistakes, you will have a better chance at retaining the prospects and new business owners that you work so hard to bring into your business opportunity. You don't make money in Network Marketing by having a revolving door business (get in, get out, get in, get out), instead you make money by growing a team and having that team grow a team. Work hard and smart so that you can get out of Network Marketing exactly what you want- that is, after all, why you started, isn't it? If you found value in this information, please comment below and share! P.S.- If you want the SOLUTION to your sponsoring problems AND you want to learn how to keep them in your business, fill in your information below for INSTANT access! 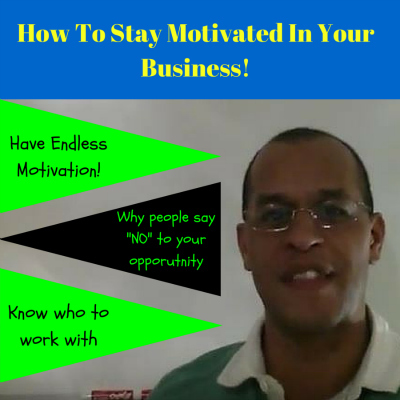 How to stay motivated in your business is a battle that all entrepreneurs face from time to time. Do you find it hard for you to stay motivated sometimes? I know that you probably read motivational books and listen to inspirational speakers every day (at least you should be!). There is more to motivation than just being inspired from outside influences. In fact, true motivation comes from within- I will cover this in the video below. In this White Board training, I will explain several topics that a lot of people in Network Marketing or Home Business struggle with, such as: how you can have endless motivation, how to determine who to work with in your business, and why some people that you talk to will NEVER join your business! Yes, it is true, some people will not join your business or see the vision no matter how hard you try to “sell” them on your opportunity. 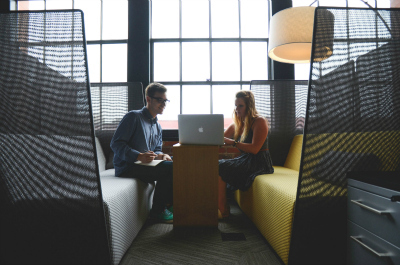 Furthermore, If you do get a new person in your business, there are some early signs that you can see if you know what to look for to determine if you should spend your time working with them. I wish that I had this training when I got started in Network Marketing 15 years ago!! 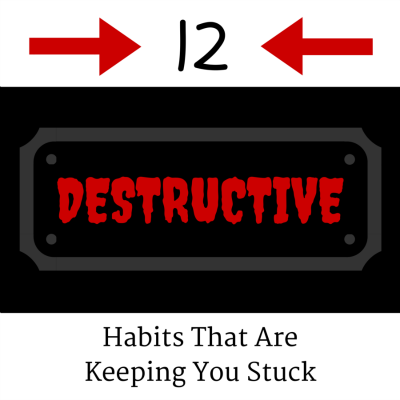 If you struggle in any of these categories, this video will rock you! If you keep working on your big aspiration circle, you will never have to wonder how to stay motivated, and continue to strive to build your business bigger and bigger. Did this help? If you found value in this, please comment below and share this post! P.S.- Learn how to market your business online, get more leads, sign up more reps, and make money even when people say NO to your opportunity! Fill in your information below. The content that you create is very important if you are using the internet to market your business opportunity and products. Have you ever sat in front of your computer or camera and wondered, “What can I talk about or share that will be helpful?” I have, many times! In this video below, I will give you 3 easy ways to create content. What makes it easy to come up with content ideas is the fact that what I'm going to share with you is right at your fingertips. You don't have to be a guru or know everything about Home Business, Network Marketing, or even be a top earner. All you have to do is take action on what I am sharing with you! Creating content on a consistent basis will allow your followers and people who find you on the internet to begin to know, like, and trust you. When that happens, you will have people asking you to buy your products or join your business! How cool is that? It all begins with the content that you put out that your target audience wants or needs. This could be; how to get more leads, sponsor more reps in their businesses, or just flat out make more money! If you provide the solution to those things, your target audience will see you as the go-to person where they can get valuable information on how to grow their business. Now, on to the 3 easy ways to create content- Watch the video below and take notes! How simple is that? If you use the tips from this video, you will never have to wonder what content you can put out into the marketplace. The biggest problem you will have is to find the time to get all of the content out there! That is a good problem to have! If you found value in this training, please drop me a comment below and share this post! I always love to hear feedback from my readers. Thank you! P.S.- If you would like more detailed training on how to PROPERLY market your business online and get results, fill in your information below and you will find out how the top earners market and make their money online. It will blow you away! 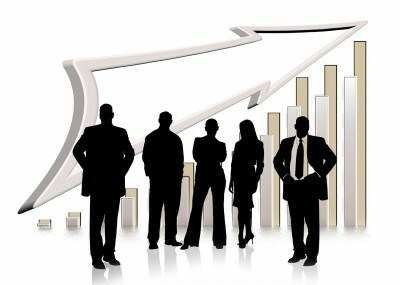 Prospect closing and registering people into your business is very important to the growth of your business. Have you ever finished showing your business opportunity or had a prospect watch your presentation on a link that you sent them, and then had no idea what to say next? Perhaps you are like most people in Network Marketing who will say something like, “So what do you think?” or “Do you like what you saw?” Those lines are worn out and do not work! It is not your fault, though. You have probably been trained by an upline or someone that was helping you in business who did not know how to close prospects. This blog post will help you to close more prospects and get more sign ups in your business. Warning: the scripts in this video are extremely powerful and easy to use! If you continue to use the same prospect closing scripts that you have always used, you will keep getting the same results of trying to grow your business. Use the two prospect closing methods that I taught in this video, and you will have a much better chance at signing up new members to your team. Have fun with your newly found tools and don't make a big deal out of getting someone signed up in your business. If you don't make it a big deal, your prospect won't either! Did you find value in this? If you did, please drop me a comment below and share this post with anyone who you know could benefit! P.S.- If you want MORE TRAINING on how to close prospects, share your opportunity, or connect with prospects out in the marketplace, CLICK HERE! Handling objections can be a tricky thing if you have not learned how to effectively answer them. If you have encountered objections from prospects when looking to sponsor reps into your Home Business opportunity, you may have felt stumped and at a loss for words, which can be very frustrating! 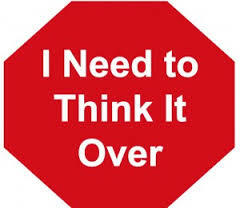 One of the objections that I struggled with early on in my Home Business career was the “I want to think about it” objection. It used to stop me right in my tracks because if I said anything other than, “okay,” I felt like I was being pushy or coming across like a pushy salesman. I would say things like, “what do you need to think about?” or “do you need to think about making money or saving money?” None of these rebuttals worked because they would just answer again that they needed to think about it! In the video below, I show you the exact method of how to overcome the “I want to think about it” objection and what you can do to have more success in sponsoring reps into your Network Marketing business! It may be different from what you have heard in the past, but it is very effective! This method seems pretty easy, right? If you learn how to manage the conversation, and you maintain your control and posture, you will have much more success in handling objections! If you found value in this information, please comment and share! 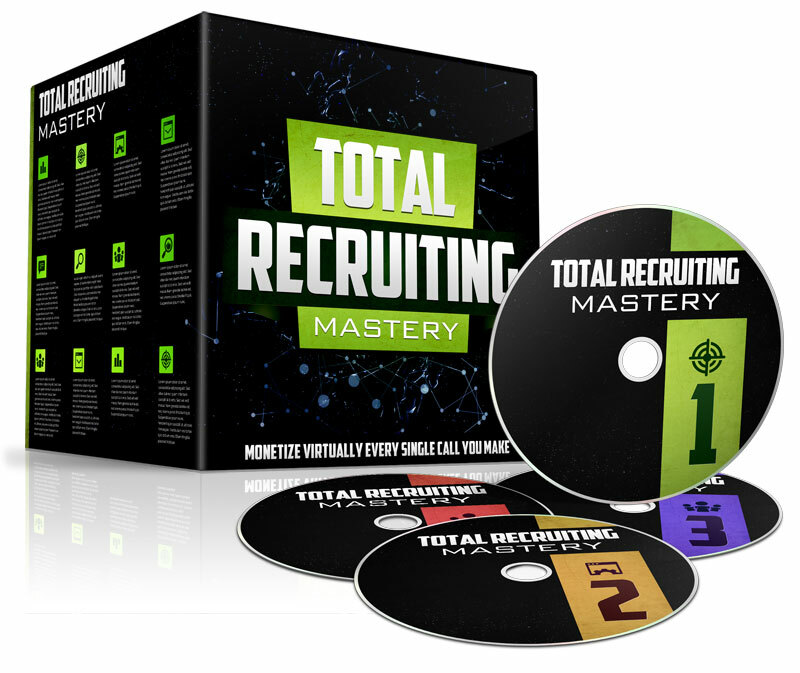 P.S.- Do you want more training on how to handle every objection that you would get in Network Marketing? CLICK HERE for more information! In this post I will share with you 6 Network Marketing tips that will help you to move your business forward. I have been in the Network Marketing industry for 15 years now, and I can assure you that there are many more tips that can help you to grow your business. However, I feel that these are 6 critical tips, that if you use, can help you to take your business to new heights! I see a lot of Network Marketers out there just working hard! They talk to people, but they don't really have any sort of strategies or an idea of what they are trying to accomplish. These hard workers are merely going out and hoping that someone joins their business. If you use these 6 Network Marketing tips, you will have a purpose in everything that you do when it comes to growing your business. You will begin to work smarter and not just hard. The top Network Marketers in the industry became top earners because they worked not just hard, but they also worked smart. Enjoy the video below and please comment and/or share it with others if you find value in these Network Marketing tips! P.S.- If you would like to learn more tips and get better results in your Network Marketing business, fill in your information below and start making money the way the top earners do!